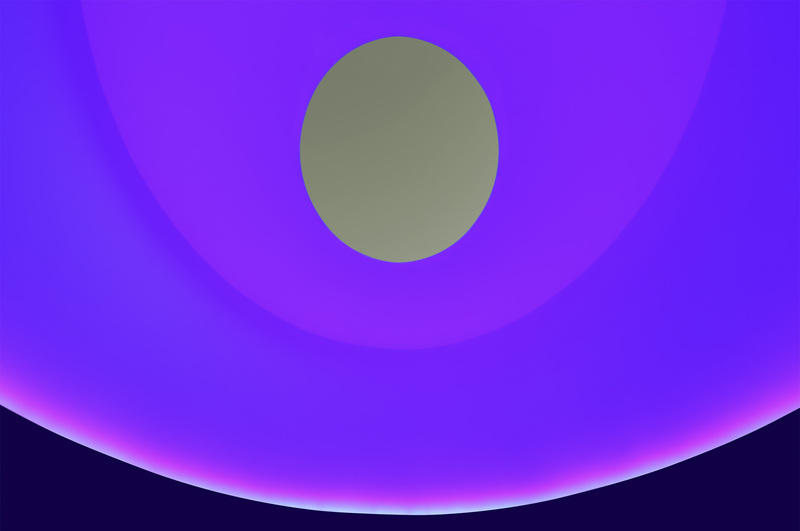 Landmarks, the public art program of The University of Texas at Austin, is pleased to present The Color Inside, a Skyspace by artist James Turrell. All members of the campus community and public are welcome to visit. The optimal viewing times to experience Turrell’s art are at sunrise and sunset, during light sequences that last about an hour. The Skyspace offers a quiet, contemplative space during other times of the day. My work is more about your seeing than it is about my seeing. The Skyspace is a naked-eye observatory in the heart of the main campus, where visitors view the sky through an opening in the ceiling called an oculus. During sunrise and sunset, colored lights illuminate the walls and contrast the natural skylight in the oculus. 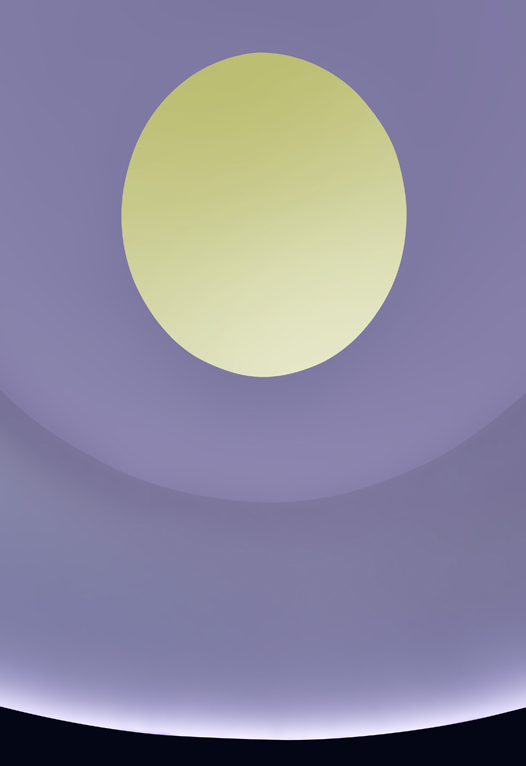 This affects the way we see the sky and produces the experience of James Turrell’s art. While Turrell considers his art only visible during sunrise and sunset, the Skyspace is available for observation during the day. It provides a quiet, contemplative space for the campus community and visitors. 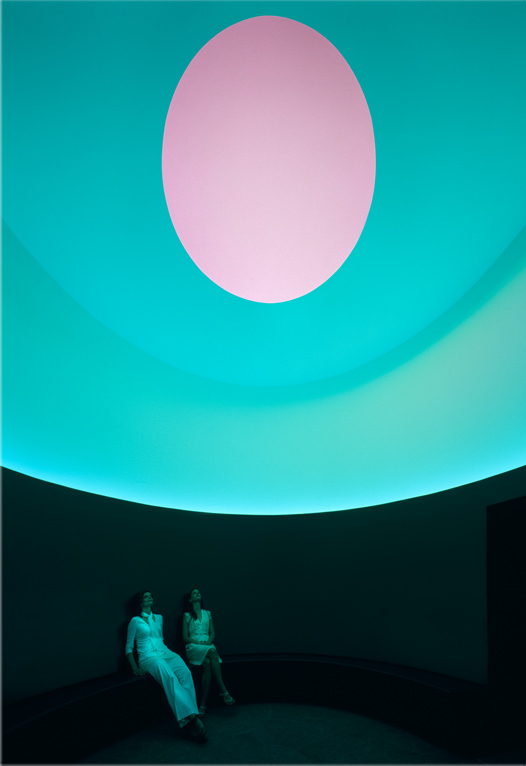 The Color Inside is the eighty-fourth Skyspace created by James Turrell and one of twelve open to the public in the United States. Each Skyspace is different and not all have light sequences at sunrise and sunset. 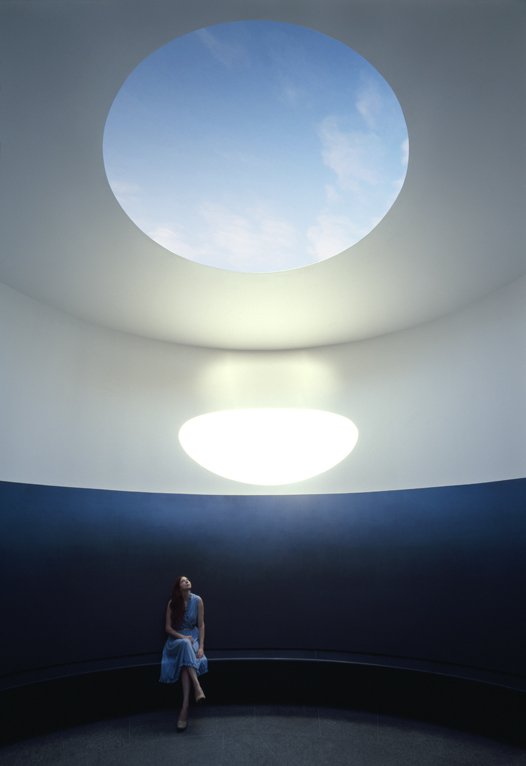 Landmarks commissioned James Turrell to create a Skyspace in 2008. The work was funded by a capital improvement project that included the Student Activity Center and the College of Liberal Arts. Visitors are encouraged to experience The Color Inside repeatedly because changes in sunlight and weather alter the viewing experience. About twenty-five people may occupy the Skyspace comfortably. Read more about The Color Inside and public art at the university by visiting the Landmarks website. 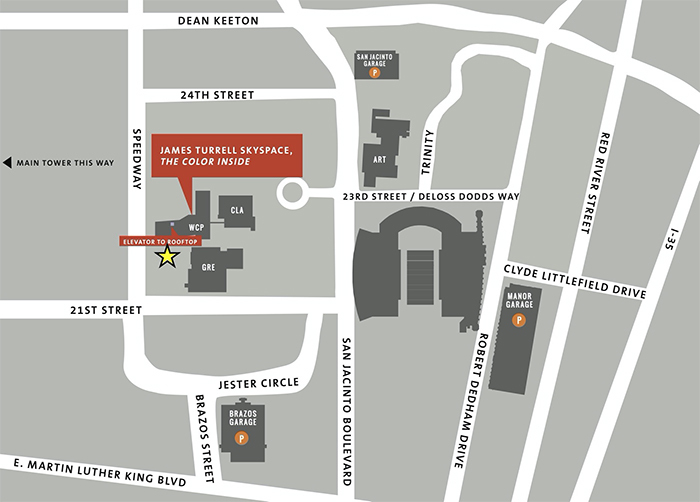 Information about James Turrell and additional learning resources are also available. Take pride in contributing to the beauty of the main campus and The Color Inside by supporting Landmarks. Your online donation supports care of the collection and helps engage a broad community. Experience the light sequence at sunset. Start time changes daily and the sequence lasts about an hour depending on the time of the year. Friday, 19 April (Not Available) Saturday, 20 April (Not Available) Sunday, 21 April (Not Available) Monday, 22 April (Not Available) Tuesday, 23 April (Not Available) Wednesday, 24 April (Not Available) Thursday, 25 April (Not Available) Friday, 26 April (Not Available) Saturday, 27 April (Not Available) Sunday, 28 April (Not Available) Monday, 29 April (Not Available) Tuesday, 30 April (Not Available) Wednesday, 1 May (Not Available) Thursday, 2 May (Not Available) Friday, 3 May (Not Available) Saturday, 4 May (Not Available) Sunday, 5 May (Not Available) Monday, 6 May (Not Available) Tuesday, 7 May (Not Available) Wednesday, 8 May (18 left) Thursday, 9 May (14 left) Friday, 10 May (25 left) Saturday, 11 May (15 left) Sunday, 12 May (21 left) Monday, 13 May (Not Available) Tuesday, 14 May (19 left) Wednesday, 15 May (27 left) Thursday, 16 May (26 left) Friday, 17 May (27 left) Check back for more dates. -Limit 4 tickets per person. -Only available days are displayed, up to 4 weeks in advance. -The next reservations will be posted daily at 8am CST. 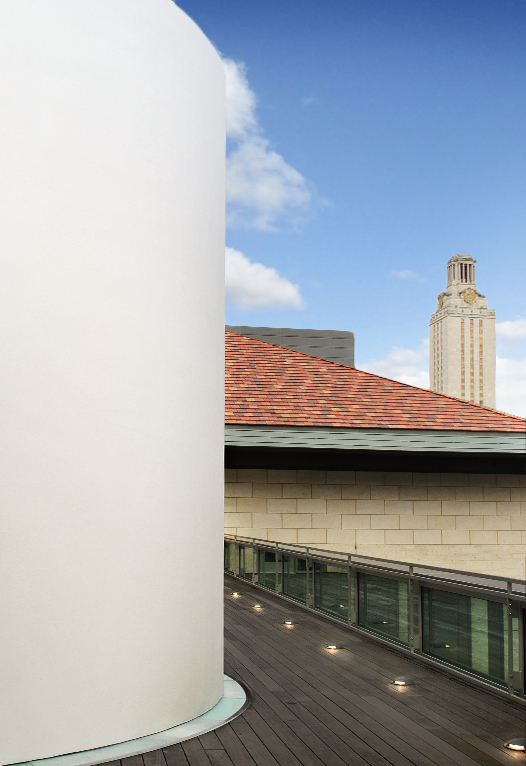 I would like to receive occasional e-mails about upcoming events from Landmarks, the public art program of The University of Texas at Austin. You will receive an email reminder before your visit. Go green and bring your reservation confirmation on your smartphone. Can't make it to sunset light sequence? Visit the Skyspace throughout the day. Visit the Student Activity Center for building hours and follow Landmarks on Facebook and Instagram for closure announcements. Present reservation confirmation upon arrival for sunsets. Check the weather forecast in preparation for your visit. 24-hour video surveillance ensures the safety of visitors and the preservation of the Skyspace. Why are the sunset reservations not available? Others interested in visiting the Skyspace have made the reservations. The next available day will be listed within 24 hours, so check back daily at 8am CST. How long will the Skyspace be on view? The Skyspace is a permanent installation. When should I arrive for sunset? Please arrive no later than your reservation time. Where is the Skyspace located? Use this map to locate the Student Activity Center. Once inside, take the western elevator to the third floor. Exit to the left and follow the corridor to the garden entrance. Please note that the other two elevators in the building do not provide access to the rooftop. How do I cancel a sunset reservation? Your confirmation email will have a cancellation option. If you need assistance, please email landmarksreserve@austin.utexas.edu and include your reservation date and time. How do I make reservations beyond the times listed? It is not possible to make reservations beyond the listed times, although requests for exceptions may be made for course instruction. Please make your request to landmarksreserve@austin.utexas.edu. How do I request a reservation for more than 5 people? Please place your request with landmarksreserve@austin.utexas.edu. Be sure to include the number in your party and your preferred dates and times. Why are reservations for sunrise not available? On most days, the sunrise sequence occurs when the Student Activity Center building is closed. What if I forget to bring my reservation confirmation for sunset? You must have your reservation confirmation in order to secure seating in the Skyspace. If you do not have your confirmation, then you may be asked to standby until seating is available. What happens if I arrive late for sunset? You may have to wait for others to exit the Skyspace before you are admitted. What happens if there's an unexpected closure? You will be notified by Landmarks by email If there is an unexpected closure at the time of your reservation. The Skyspace remains open in the rain. It can make for spectacular viewing, but you may get wet. How do I report a problem with the Skyspace? If you notice any maintenance or conservation needs, then please email landmarks@austin.utexas.edu. Please email landmarkscomments@austin.utexas.edu with any comments or suggestions. Is the rooftop available for private events? The rooftop is intended for the public and is not available for private events. How may I support this project? Please make an online donation to Landmarks. Learn about volunteer opportunities by visiting the Landmarks website. How did the Skyspace get here? 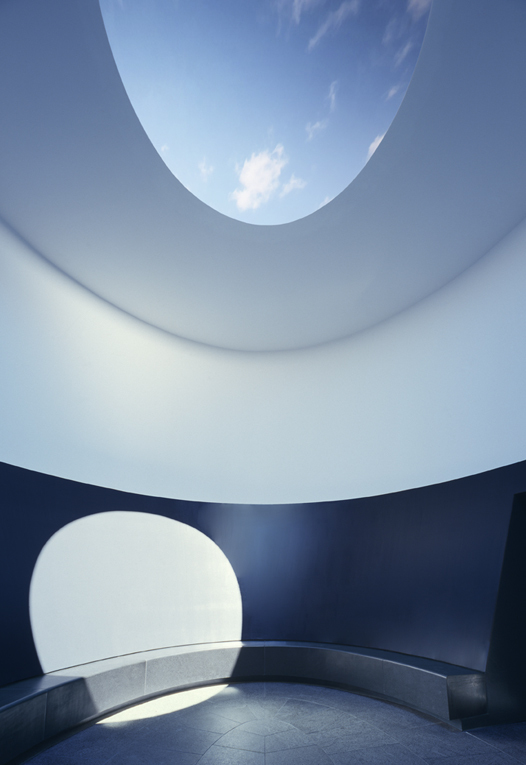 The idea to commission a Skyspace by James Turrell was introduced by Landmarks director Andrée Bober in 2007. The Color Inside opened to the public in October 2013. Learn more by reading the project overview. How do I contact Landmarks? Please call (512) 495-4315 during business hours or email landmarks@austin.utexas.edu. The light that we carry with us makes a difference. 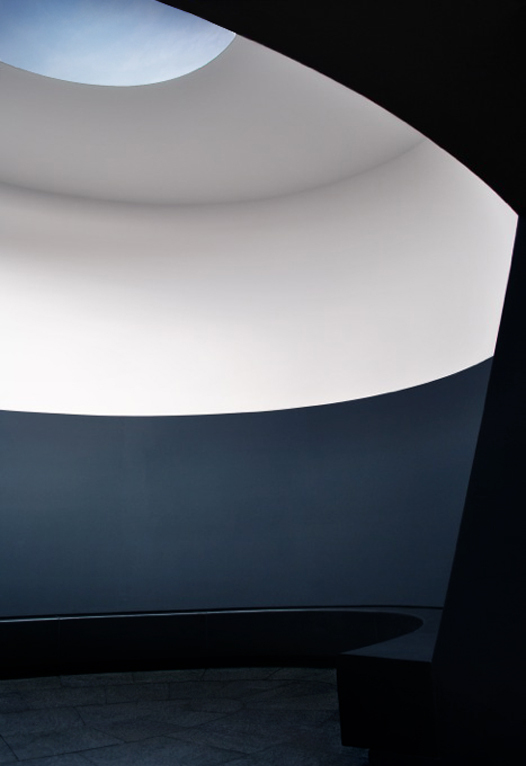 Turrell’s most ambitious project is Roden Crater, an observatory created inside an extinct volcano in Arizona. 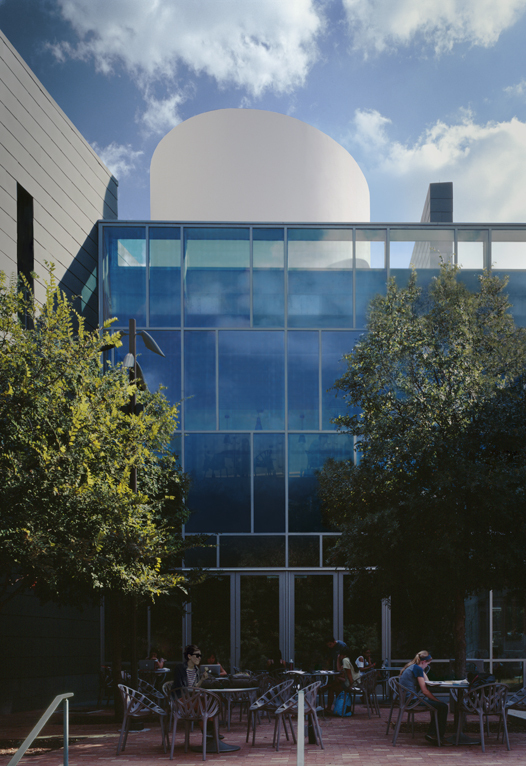 The artist has two additional public Skyspaces in Texas, both located in Houston: Twilight Epiphany at Rice University and One Accord at Live Oaks Friends (Quaker) Meeting House. 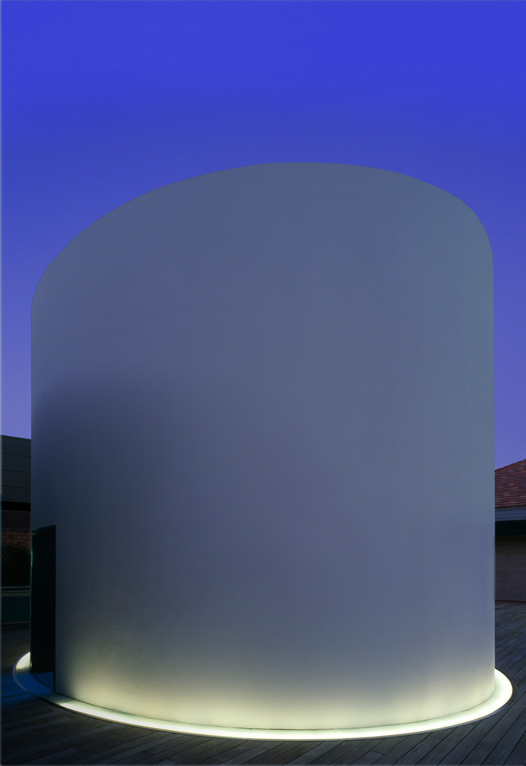 Turrell’s work has been the subject of hundreds of exhibitions and he has received prestigious awards from the Guggenheim, Lannan, and MacArthur foundations. In 2013 he became the first artist to have three concurrent solo exhibitions at the Museum of Fine Arts, Houston; the Los Angeles County Museum of Art; and the Guggenheim Museum, New York. Learn more about the artist and The Color Inside by visiting the Landmarks website and by watching this short video. 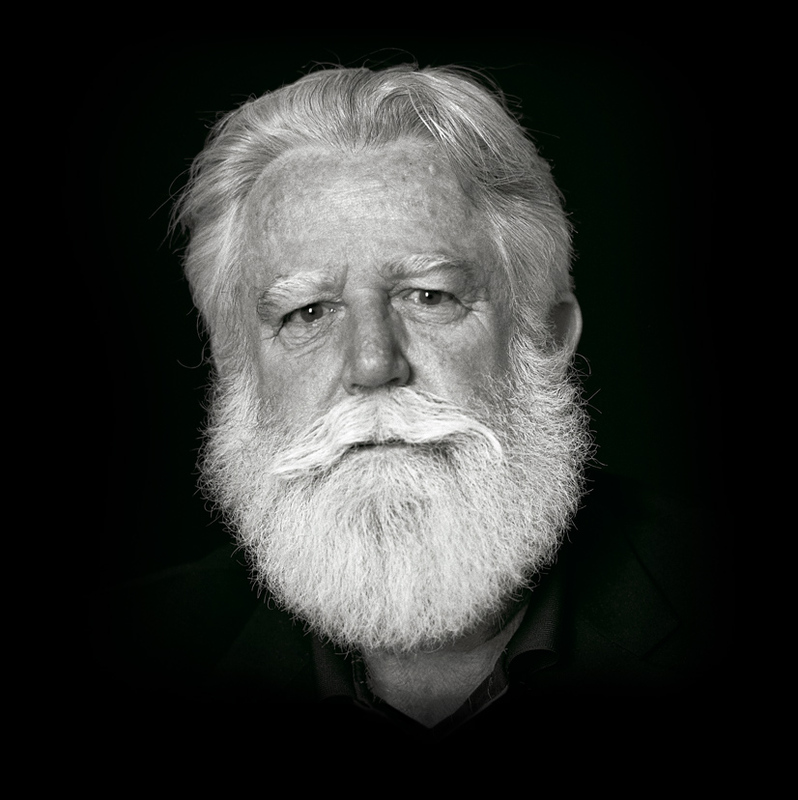 James Turrell, Photo by Florian Holzherr. Detail of oculus, Photo by Paul Bardagjy.